Real Macs dual-boot Windows and Mac OS X using Boot Camp, an application from Apple that allows you to install Windows on a separate partition from Mac OS X. Boot Camp does not work with Hackintoshes. That being said, setting up a dual-boot system on a Hackintosh is still pretty easy. If you are planning to dual-boot a new computer that doesn't have anything installed on it yet, I recommend that you install Mac OS X before Windows. 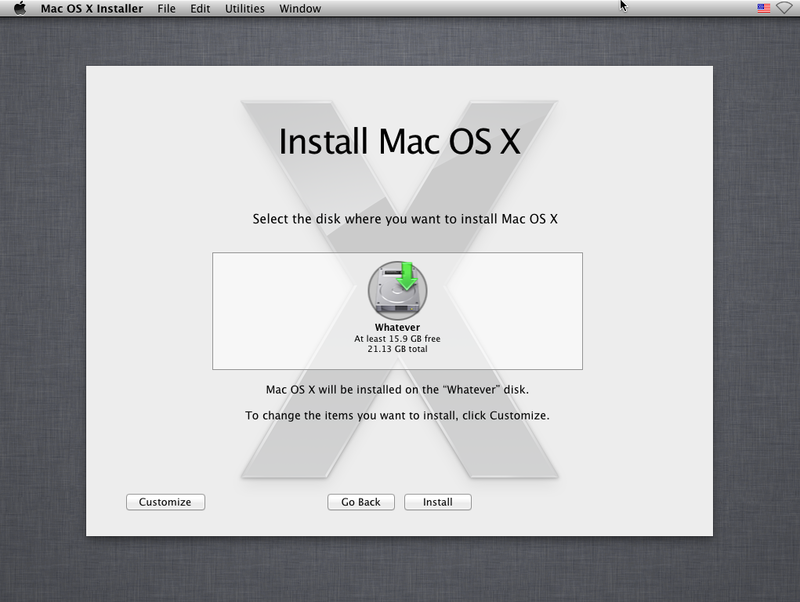 The installation for Mac OS X can be rather finicky, so you'll want to do it first. However, if you have already installed Windows on one hard disk and you want to install Mac OS X on another, then just ignore Step 3 of this tutorial. Install Mac OS X; this part of the dual-booting process is the same with Snow Leopard, Lion, Mountain Lion, or Mavericks. Simply follow any of the guides in our "Installation Guides" section, or from the top menu of this website. NOTE: If you're installing Mac OS X after Windows, you will probably need to enable AHCI in Windows beforehand. Otherwise, Windows will not boot after you install Mac OS X. Installing "Easybeast", "UserDSDT", or "DSDT-Free Installation" in Multibeast will also install Chimera, a popular bootloader for Mac OS X. A bootloader is the program that boots your operating system when your computer starts. 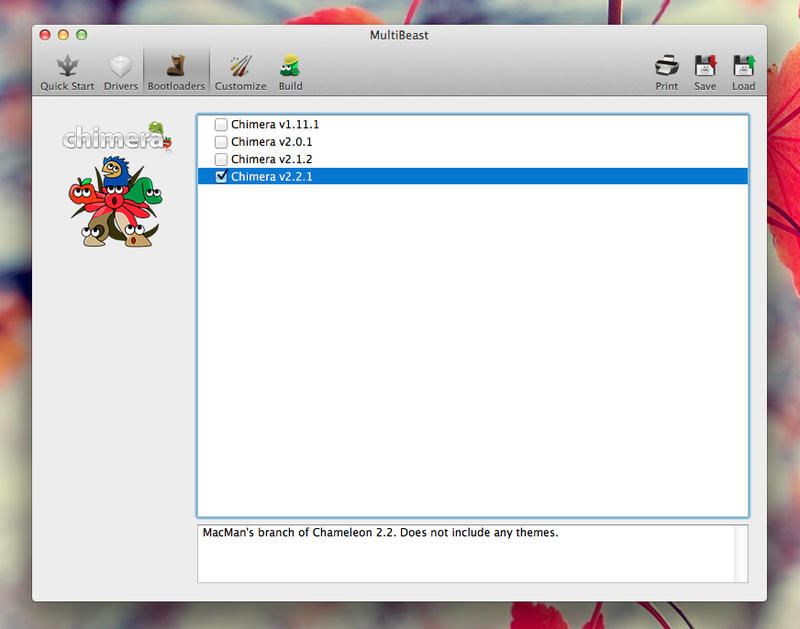 You can also install Chimera bootloader by itself, but that's usually not enough to make Mac OS X boot properly. NOTE: Chameleon bootloader, which Chimera is based on, also works for this tutorial (Chameleon and Chimera are essentially the same thing). Unlike installing Mac OS X, installing Windows is pretty straightforward. Insert your Windows installation disk, and install Windows on your other hard disk. Then go to the next step. Like Mac OS X, Windows also has a bootloader, but it doesn't work with any other operating systems besides Windows itself. Instead, we're going to override it with Mac OS X's Chimera bootloader, which supports both Mac OS X and Windows (and Linux, if that's your thing). We'll do this by giving your Mac hard disk a higher boot priority than your Windows hard disk; you can set this in the BIOS, which is basically the settings page for your motherboard. Restart your computer, and enter the BIOS of your motherboard. 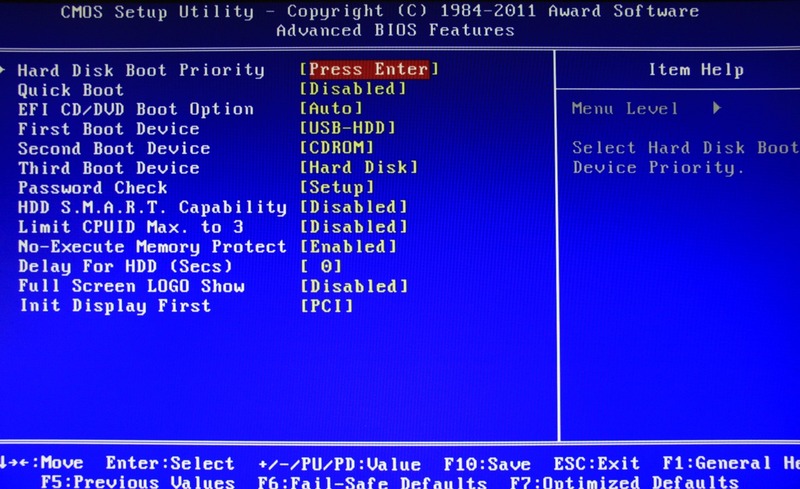 To enter the BIOS of your motherboard, you need to press a certain key when your computer starts up. On Gigabyte motherboards, you need to press the Delete key. Different motherboard brands use different keys; the key will probably be displayed on the motherboard splash page that you see when your computer starts. Once you've entered the BIOS, find the option for "Hard Disk Priority". On my Gigabyte GA-P67A-D3-B3 motherboard, this option is located under "Advanced BIOS features". Change the priority of your hard disks so that your Mac hard disk is the highest. On Gigabyte motherboards, you can change priorities with the +/- keys (you might have to use the +/- keys on your keyboard's number pad). Save the changes you've made (press the F10 key on your keyboard for Gigabyte motherboards) and leave the BIOS. NOTE: If you're using a motherboard that uses the newer UEFI standard instead of a normal BIOS, don't set your boot options to anything that starts with "UEFI". Mac OS X cannot boot in UEFI mode. 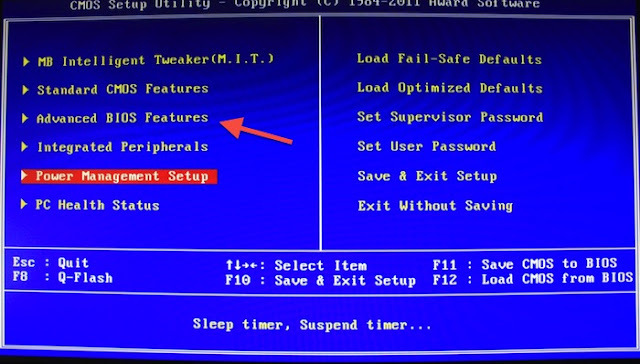 Instead, you must select the boot option that starts with "P0", "SATA", or "Legacy" (depending on your motherboard). Now, your BIOS will use the Chimera bootloader installed on your Mac hard disk instead of the Windows bootloader. NOTE: On most dual-boot Hackintosh setups, you will have to choose the "System Reserved" partition on the Chimera bootloader screen to actually start Windows (not your normal Windows hard drive partition). This is due to the way that Windows usually installs itself on your computer.